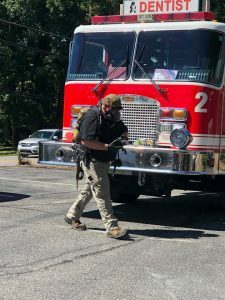 Jasper, Ga – Authorities have met a major incident as they executed a search warrant at the local A1 Smoke Shop in Jasper, Georgia. Unconfirmed reports indicate the substance may have been made airborne during the search, but reports at this time indicate the exposure is not life-threatening. Additionally, authorities have closed businesses in close proximity to the location and evacuated citizens from the area for safety. With Haz-Mat teams investigating the substances, authorities are declining to release certain details of the active investigation, but indicate that they will be releasing more information about the incident later. With the recent rise of vaping devices being used to inhale drugs ranging from Methamphetamines to THC Oil to Synthetic Marijuana, it is likely this warrant could be part of an official response to the trend in our schools, though no official statement identifies why they were executing a search warrant. The District Attorney’s office is currently undertaking a series of assemblies at the middle and high schools of Pickens, Fannin, and Gilmer. At this point, it is actually quite common to find controlled substances in vape devices across America, especially in schools as reports continue to flood the media about students falling unconscious or having severe reactions, even seizures because of what they may or may not know they are inhaling. On the morning of Friday, September 14, 2018, the Drug Task Force, along with the Pickens Sheriff’s Office and the City of Jasper Police Department executed a search warrant at the A-1 Smoke Shop located at 684 West Church Street in Jasper, Georgia. During the search of the premises, a Detective with the Pickens Sheriff’s Office came in contact with an unknown substance which immediately resulted in the Detective experiencing adverse health conditions and symptoms. The affected Detective was transported to the local hospital for immediate treatment. Public safety personnel who were exposed while treating the affected Detective also began experiencing similar reactions. As of this release, two Detectives, a DTF Agent and two EMS personnel are being treated now for symptoms. The Cherokee County Hazardous Materials Team has dispatched to the scene to assist, along with all surrounding public safety agencies including the Pickens Fire & EMS and City of Jasper Fire. 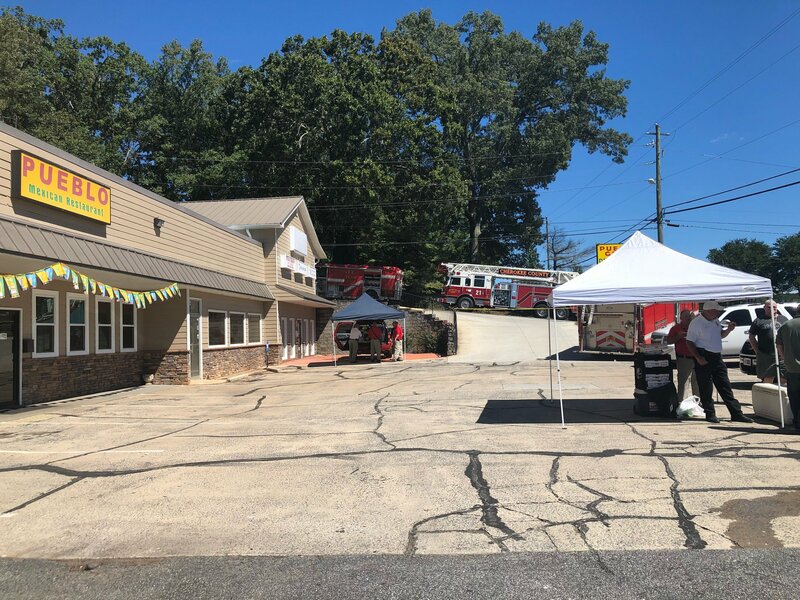 Businesses in close proximity to the location have been evacuated as a safety precaution, and Haz-Mat teams are preparing to enter the premises to thoroughly investigate and identify the cause of the health issues with our public safety personnel. As this is an active investigation, more information will be provided as it becomes available. Public encouraged to attend the meeting. 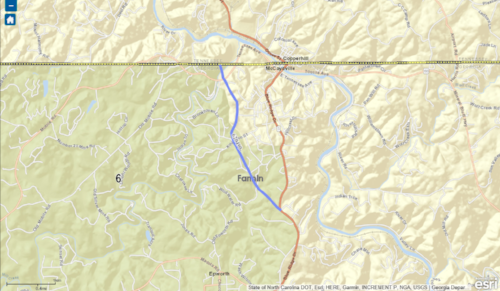 Blue Ridge, Ga– A public information open house to view the proposed project to improve State Route (SR) 5 and construct a new location truck route in Fannin County, Georgia and in Polk County, Tennessee is scheduled for Tuesday, September 11, 2018, from 4 to 7 p.m. The meeting will be held at the McCaysville Church of God, located at 1477 Blue Ridge Drive in the city of Blue Ridge, Georgia. Residents interested in learning more about the proposed project are encouraged to attend the meeting and to visit the website at www.dot.ga.gov. The proposed project will improve State Route 5 from Old Flowers Road to Colton Avenue by resurfacing the existing two lanes on this portion and constructing 10-foot wide shoulders with 16-inch rumble strips for driver notification of roadway departure. The proposed project will transition to two lanes with curb and gutter with 5-foot sidewalks on both sides. At the intersection of SR 5 and School Street, the project proposes the installation of a roundabout. To learn more about the benefits of roundabouts, visit http://www.dot.ga.gov/DS/SafetyOperation/Roundabouts. The proposed improvements continue northeast along the existing SR 5/Blue Ridge Drive alignment for approximately 0.4 miles to the Toccoa Avenue. The project also proposes to construct a two-lane truck route along a new location alignment approximately 1.1 miles in length beginning at the proposed roundabout on existing SR 5 at School Street. The roadway continues northwest crossing into Tennessee, then turns to the northeast and bridges over W Tennessee Ave, the Ocoee River, the existing railroad and Tennessee SR 68/Ocoee Street. The roadway then loops around toward the southeast and ties into Tennessee SR 68/Ocoee Street near Colonial Avenue where a second roundabout is proposed. The Open House will be informal and the public is invited to attend anytime between 4 and 7 p.m. The meeting site is accessible to persons with disabilities. Accommodations for people with disabilities can be arranged with advance notice by calling Joseph Ciavarro at 678-721-5164. Georgia Department of Transportation plans, constructs and maintains Georgia’s state and federal highways. We’re involved in bridge, waterway, public transit, rail, general aviation, bike, and pedestrian programs. And we help local governments maintain their roads. Georgia DOT is committed to providing a safe, seamless and sustainable transportation system that supports Georgia’s economy and is sensitive to its citizens and its environment. 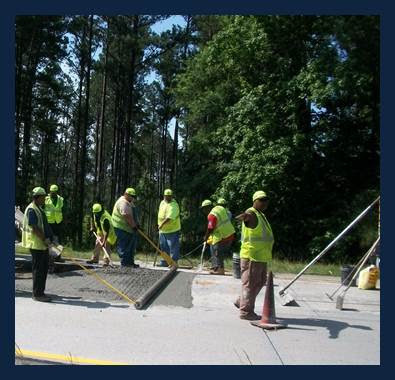 BLUE RIDGE, Ga. – A Georgia DOT Maintenance crew begins today its work on repairing the deteriorating edges of pavement on State Route (SR) 60 in Murray County. Work will proceed daily Tuesday through Friday between the hours of 7:30 a.m. and 5:30 p.m., weather permitting. BLUE RIDGE, Ga. – A Georgia DOT Maintenance crew begins today its work on repairing the deteriorating edges of pavement on State Route (SR) 60 in Fannin County. Work will proceed daily Tuesday through Friday between the hours of 7:30 a.m. and 5:30 p.m., weather permitting. shoulder drop offs and maximize the safety of the roadway for the traveling public. 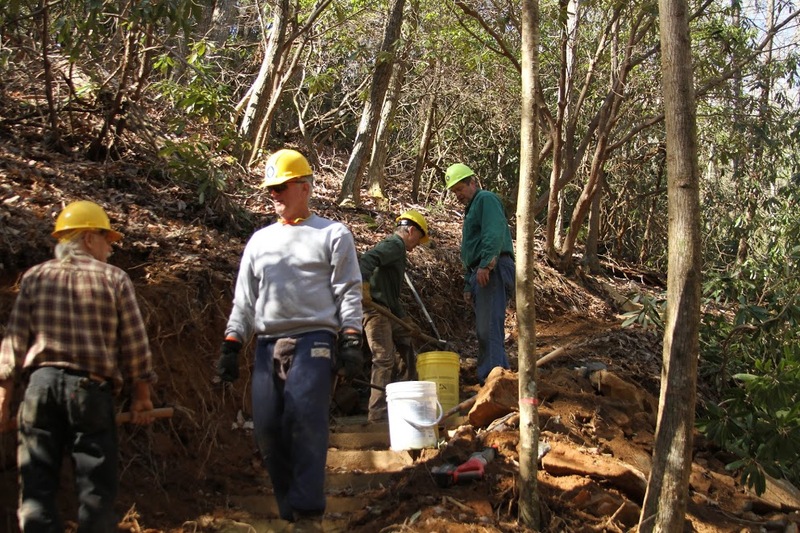 The Benton MacKaye Trail Association (BMTA) is seeking volunteers to help with trail maintenance for an upcoming work trip. According to Barry Allen, Georgia work trip coordinator for the BMTA, a work trip is planned for Saturday, Dec. 9, on a section of trail near Fall Branch Falls in Fannin County. 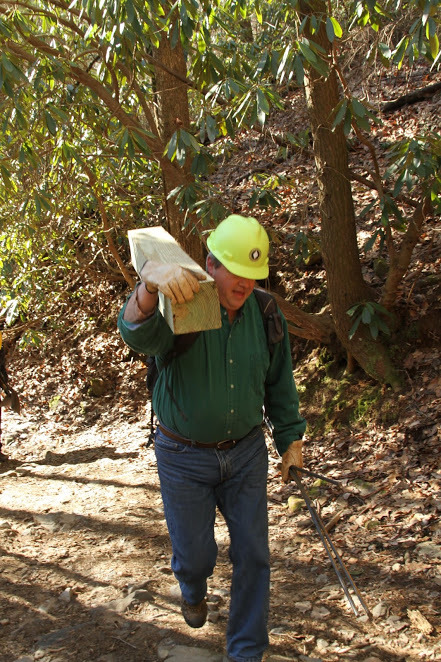 This month’s Georgia work trip will focus on completing the re-route at Fall Branch Falls. Allen stated there are a few more steps needing to be installed, which will require hauling timbers, along with a 50-foot section of trail to dig. Also, a number of water diversions just upstream from the falls will be put in place. Allen hopes to have work completed for the day around lunchtime and mentioned he would bring his grill with him if the weather is nice to grill some burgers and brats for a post-work lunch. All work trip participants are asked to wear sturdy shoes or boots, long sleeve pants and shirts, work gloves and, for cold-weather trips, multiple thin layers that can be easily shed one at a time. Also, a daypack for storing food, water or other items is always a good idea for work trips. Food and water are not supplied by the BMTA on work trips; however, tools are provided by the Association. The BMTA recommends workers to bring at least two liters of water for the trip. 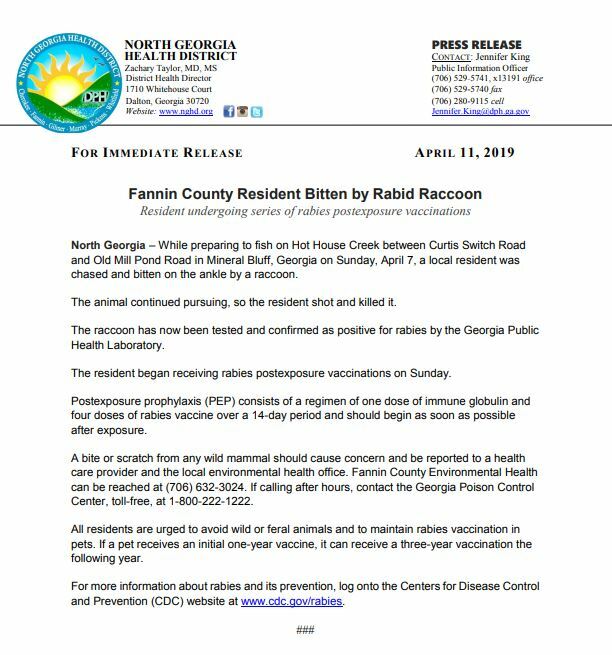 Those interested can meet either at The Iron Bridge Café and General Store on Aska Road across from Shallowford Bridge, at 8:00 a.m. or at Fall Branch Falls at 9 a.m. The Benton MacKaye Trail spans three states – Georgia, Tennessee and North Carolina – and nearly 300 miles from Springer Mountain, Georgia, to Davenport Gap in the Great Smoky Mountains National Park and is enjoyed by thousands of hikers and outdoor enthusiasts each year. For anyone with questions or needing further information, contact Barry Allen at bmtabarry@gmail.com or 770-294-7384. According to Barry Allen, Georgia work trip coordinator for the BMTA, a work trip is planned for Saturday, Nov. 25, on a section of trail within the Big Frog Wilderness Area in Tennessee. Blowovers and downed trees will be the focus of the work trip, and Allen hopes to assemble a team of six to seven sawyers to work the trail south of Forest Service Road 221. Participants in this trip can expect about a five-mile out and back hike, Allen said. Depending on the turnout and the number of certified crosscut workers, a second team may work another section of the BMT that follows Dry Pond Lead Trail north to Kimsey Hwy. (FS 68). Allen stated this section has not been worked in over a year and will likely also need lopper work even if only a few trees are down. This section is four miles one way and is a gradual uphill climb. All work trip participants are asked to wear sturdy shoes or boots, long sleeve pants and shirts, work gloves and, for cold-weather trips, multiple thin layers that can be easily shed one at a time. Also, a daypack for storing food, water or other items is always a good idea for work trips. Food and water are not supplied by the BMTA on work trips. The BMTA recommends workers to bring at least two quarts of water for the trip. Those interested can meet either at The Home Depot in Blue Ridge, Georgia, at 8:30 a.m. or at Thunder Rock Campground eight miles west of Ducktown, Tennessee, off of U.S. Hwy. 64 at 9 a.m.
For anyone with questions or needing further information, contact Barry Allen at bmtabarry@gmail.com. 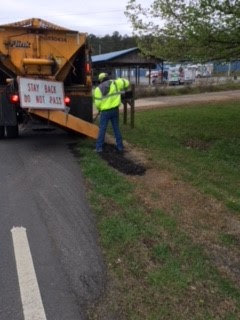 BLUE RIDGE, Ga. – A Georgia Department of Transportation (DOT) maintenance crew begins this morning its work on repairing the deteriorating edges of pavement on state Route (SR) 60 in Fannin County. Work will proceed today (Nov. 21) and tomorrow between the hours of 7:30 a.m. and 5:30 p.m., weather permitting. You know that construction work zones are dangerous, but do you know that they are not always stationary? Moving work zones that conduct maintenance activities like litter pickup, asphalt repair, mowing, edge pavement repair, pavement marking and sweeping may move slowly and stop intermittently. Treat moving work zones like any other – Pay Attention – Slow Down – Watch for Workers. And always, expect the unexpected. Work zone safety is in your hands. For information on the Department of Transportation, visit http://www.dot.ga.gov. You also may like us on Facebook (https://www.facebook.com/GDOTNW) and follow us on Twitter(https://twitter.com/GDOTNW).